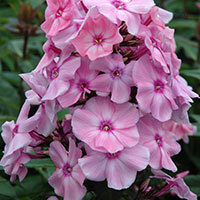 Phlox 'Alexandra' is a great new addition to the Phlox family. 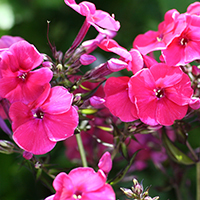 The bright rosy/red flowers have a small silvery white center and stand atop very dark green foliage. 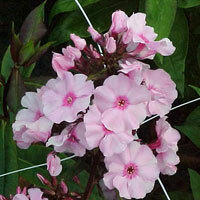 'Alexandra' has a compact, strong growing habit. This variety bears fragrant trusses of violet flowers from midsummer to mid-autumn on tall stems with bright green, narrow leaves. 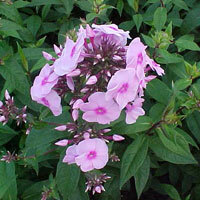 It is an herbaceous perennial with an upright spreading habit of growth. Its medium texture blends into the garden, but can always be balanced by a couple of finer or coarser plants for an effective composition. Blue boy sports soft blue flowers with tiny white eyes. 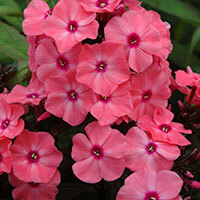 Phlox pretty solid, dark pink flowers with a pink heart. 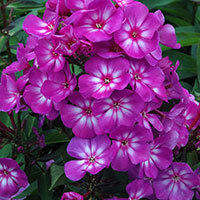 Combine phlox agree with grasses. It appreciates rich, well-drained soil and full to partial sun. Tube shaped flower with flat rounded petals, fine floral, airy flower bunch to sturdy flower stem, a deeper flower color at lower temperature, dark green leaves, very rich and thriving, not too dry well-drained soil, nutritious insects and Butterfly plant. A compact variegated leaf variety. The whitish-pink flowers have a darker pink center. 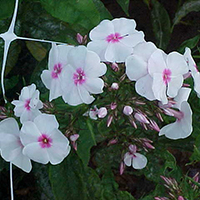 What sets this phlox apart from other non-award winning phlox is the exceptionally large flower heads of pure white and mildew resistant green foliage. This plant is suitable for the ornamental garden. Gives a good cut flower. 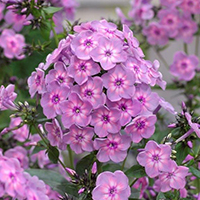 High phlox with their large clusters of flowers are popular border plants for the postseason with a striking color, fragrant. 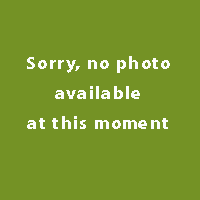 It is of the family Polemoniaceae. The flower color is dark red and pink. 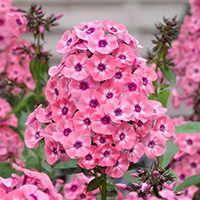 It is a striking, summer flowering perennial that produces lots of large, rounded clusters of fragrant, pretty pink flowers. 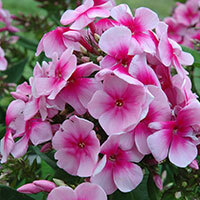 This Phlox is compact, well branded and blooms all summer long. 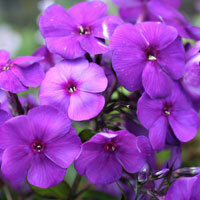 Solid bright purple flowers are borne on short stems which give the plant a dense and bushy look. The large clusters of pure white flowers make elegant cut flowers arrangements. 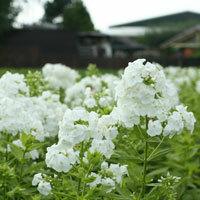 It has fragrant white flowers with red eyes on free-branching short stems. 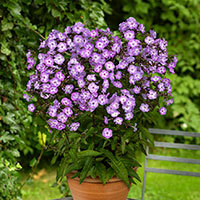 Phlox paniculata ' Katja ' flourishes with plumes of small, dark purple flowers with white in the Center. Are between 65 and 80 cm high. 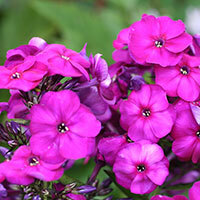 The color contrast of this Phlox is very beautiful. Pink flowers with a White Center and a red heart in. 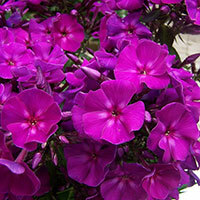 This Phlox is suitable for potculture, but also good for flower procution. Is medium-high and medium-early flowering. 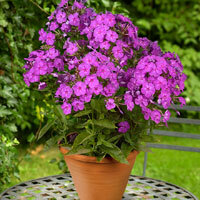 Striking color that fits well in a border with, each hour, even beautiful in a vase. Branches well. 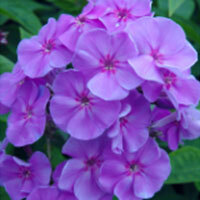 It is a dwarf garden phlox cultivar which typically grows in an upright clump. 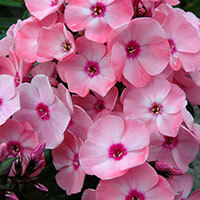 Soft pink blooms with a bright pink eye, fertile soil. Individual flowers are densely arranged in large, terminal, pyramidal clusters. Good fresh cut flower. This perennial does best in full sun to partial shade. It does best in average to evenly moist conditions, but will not tolerate standing water. It is not particular as to soil type or pH. It is highly tolerant of urban pollution and will even thrive in inner city environments. This plant can be propagated by division. A remarkably floriferous cultivar, the heads are crowded with masses of small flowers, which are pale baby-pink with a concise deep rose-pink eye. The flowers are fragrant and showy, with brilliant non-fading colors. ‘Orange Perfection’ has green leaves and orange flower. Flowers are good for cutting,this plant is attractive to bees, butterflies and/or birds,flowers are fragrant. 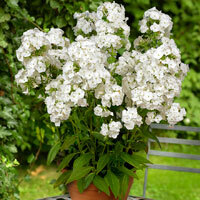 The compact growth habit of 'Picasso' make this a very suitable choice for container gardens. 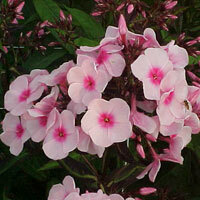 Phlox paniculata ' Pixie Miracle Grace ' blooms in the period July-August. The flowers are pink with a white heart. He is preferably on a sunny place in the border. Soil should be well-drained soil and airy, well fertilized because there is a risk that this flame flower else drops off in winter. Suitable for pot. Apart is the three-coloured flower. 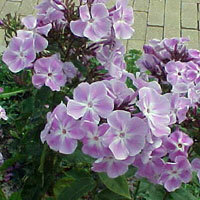 This relatively low Phlox has a medium-early flowering time. Beautiful healthy leaf and strong stems. Tube shaped flower with large flat rounded petals, large dense flower plume, very compact bushy plant, fragrant, long-and rich flowering, not too dry nutritious well drained soils, prevent mildew by adequate moisture and good air circulation, insects and Butterfly plant. It has green leaves and a white colored flower. 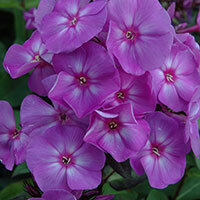 The Phlox ‘Rembrandt’ is dry, moist nutrient-rich soil. 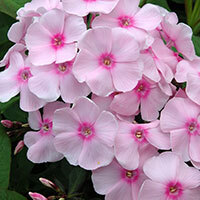 Rowie' has lovely, fragrant light pink flowers with dark rose eyes. 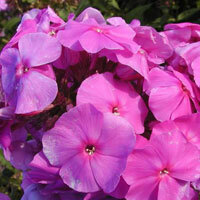 Blooms in early to mid-summer but will keep flowering if spent flowers are cut off. 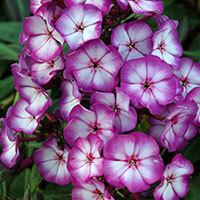 A great cut flower, very fragrant, and butterflies love it. Looks gorgeous with anything blue, white, or soft yellow. ‘Rijnstroom’ is an erect, herbaceous perennial with lance-shaped, dark green leaves and upright panicles of pink flowers in summer. From midsummer to the middle of autumn, large domed clusters of fragrant, magenta-pink flowers appear above the mound of attractive foliage. The colour of these showy flowerheads really stands out in herbaceous borders, where they look sublime mixed with rich purples and softer pinks. Widely planten in rock gardens, this low-growing perennial forms spreading cushions of woolly grey, evergreen leaves. In mid-spring, daintu white flowers cover every inch of the foliage. Flowers are a vivid cherry-red. One of the latest blooming reds, and one of the tallest. Compared to 'Starfire', this is a taller plant, with less bronzing on the leaves, and the flower color of 'Spitfire' is a little deeper, and the florets are slightly smaller. 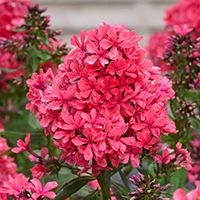 ‘Starfire’ is an herbaceous perennial with clusters of fragrant, bright cerise flowers from summer to early autumn. 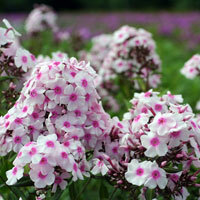 Robust and vigorous variety with noble shaped single flowers, which have a nice play of colours of light purple with white and delight with their delicate fragrance. Our special recommendation for the rural garden! New kind of that very compact remains, acquisition! Large flowers, pink with little white. New and healthy kind, compact, beautiful dark foliage. Striking orange pink flower with dark eye. Healthy kind with beautiful flowers Unique color combination. 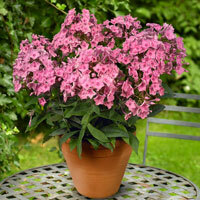 Extremely low permanent, beautiful dark stem and leaf, lilac pink of color. Healthy kind, compact, beautiful dark foliage. Pale pink flowers with dark heart. Sweet Summer Ocean is healthy, flowers violet Blue and the flower can serve as cut flower. Attracts butterflies. Healthy, thriving hell pink Compact growing plant. Tube shaped flower with large flat rounded petals around dark pink eye, dark chalice, dense flower plume to solid high dark flower stem, purple tinted sheet, long and rich flowering, fragrant. Mildew resistant, insect and Butterfly plant. Very healthy kind. Purple with little white. Dark foliage and stems. Happy in borders and containers. 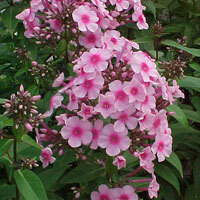 Excellent for cutting, slug resistant, attractive to bees and tolerant of all soil conditions in sun or part shade. 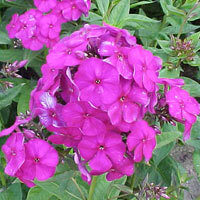 Phlox paniculata ' Tatyana ' is a purple flame flower with a white heart. 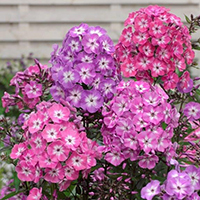 blooms in the period July-August.Phlox paniculata ' Tatyana ' 80-90 cm high and is keen on a sunny place in the border. Light shade also treaties. ‘Tenor’ is an erect, herbaceous perennial with lance-shaped, mid-green leaves and upright panicles of red flowers from summer to early autumn. 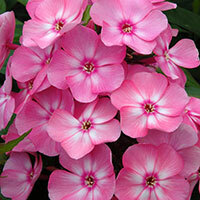 Excellent for cutting, slug resistant, attractive to bees and tolerant of all soil conditions in sun or part shade. Uspech ' flowers with pink-purple flowers with light heart. Prefers a loose, good schedule and the location to be sunny. If you want to be the plant not too high, you can put it in april once tops. Then branches off this and remains lower. 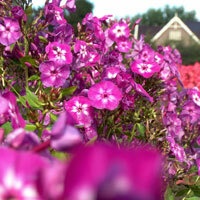 Phlox Valentina® can fill large areas in Garden borders. But they can also be used to accent between other plants. 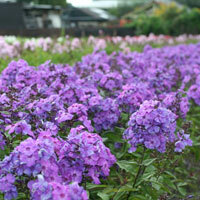 Give the plants during flowering a colorful surface in the border, therefore it is also called as structure plant uses. They are nectar rich plants, which encourage benefical wildlife, such as ladybirds, lacewings and hoverflies into the garden. 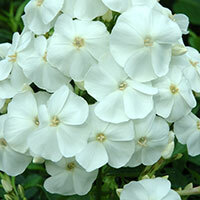 'White Spar' Traditional cottage garden staple, this heavily scened phlox is a dream! 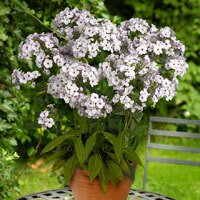 A perennial plant, this beauty will reach 80cm tall when in flower. It roduces the most lovely flowers in Aug - Sep. 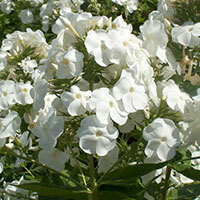 They are a very clean white flower from mid to late summer on long stems. 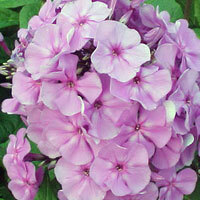 Grow in rich moist soil in light shade or sun. 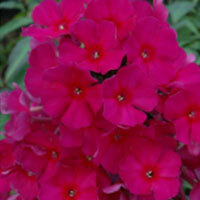 A compact cultivar that produces an abundance of dark-eyed, glowing pink flowers.